Our Whodunit Bookology detective of the month is Inspector Chen Cao created by Qui Xiaolong originally born in Shanghai China in 1953 and currently resides in the United States. 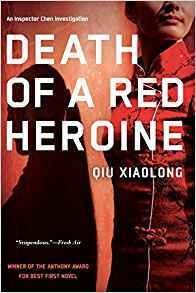 Inspector Chen Cao was introduced with the publication of Death of a Red Heroine in 2000. The Inspector Chen series is set in Shanghai China in the 1990's and Chen Cao works as a homicide detective in the Shanghai Special Cases Bureau. The character is in his early thirties and also writes poetry and works as a translator. Inspector Chen must navigate his way through government politics while trying to solve murders. The series provides fascinating cultural and historical insight into China during a time of transition. Read the first book in the series. Read one book per letter in the character's first or last name. Read one book per letter in the author's first or last name. If you're feeling really ambitious, one book per letter in the character's first and last name. Follow in a character's footsteps and read a book set in the country or time period of the character. Follow in the author's footsteps and read a book set in their place or time of birth. 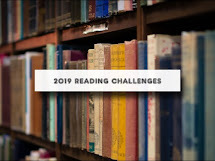 Read a book with the first or last name of the character or author in the title. Check out Big Thrills Interview with Xiaolong - Perceiving China Through a Poetry-Spouting Sleuth as well as delve into the history of China during the 1990's, emerging Chinese authors, and best novels that take place in China. Have fun following rabbit trails. This past week I read “100 Cigarettes and a Bottle of Vodka”, a prizewinning memoir by Arthur Schaller. His book describes his experience growing up as a young Jew in Poland. In 1939, at the age of 11, he was confined with his family in the Warsaw Ghetto. After his mother was taken away by the Nazis, he escaped the ghetto and survived the war working as a farmhand. After the war, he escaped Poland to Prague as part of a group of young Zionists, before coming to Canada as one of 100 Jewish orphans accepted for resettlement. His haunting story is beautifully written and a testament to resilience and the triumph of life over horror and hatred. Thank you for sharing and I'll add it to my wish list. We recently read The Boy on the Wooden Box as well as Night which are both well written.